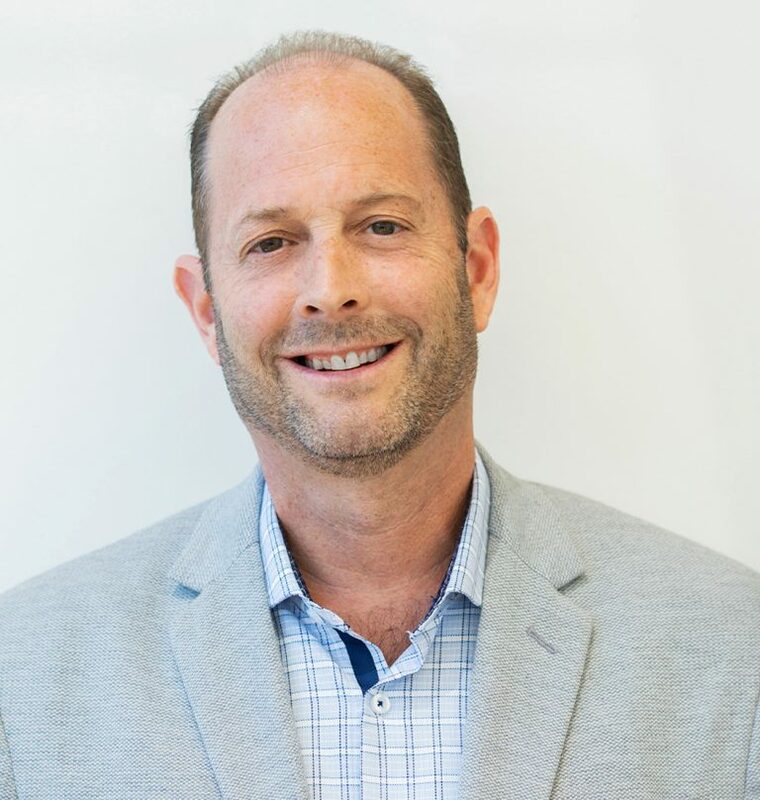 Since 2009, we’ve been engaged in an on-call relationship with Aramark, the national food service provider, that’s lead to dozens of dining projects for some of the country’s most prestigious institutions of higher learning, including Vassar College, and Rutgers, Fordham, and New York Universities. 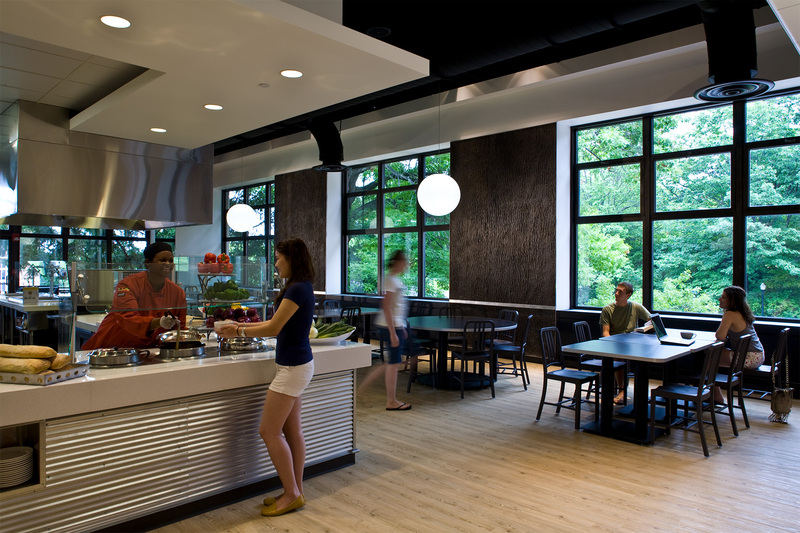 Our relationship kicked off with a renovation of the University of Rochester’s 14,500-sf Danforth Dining Center. 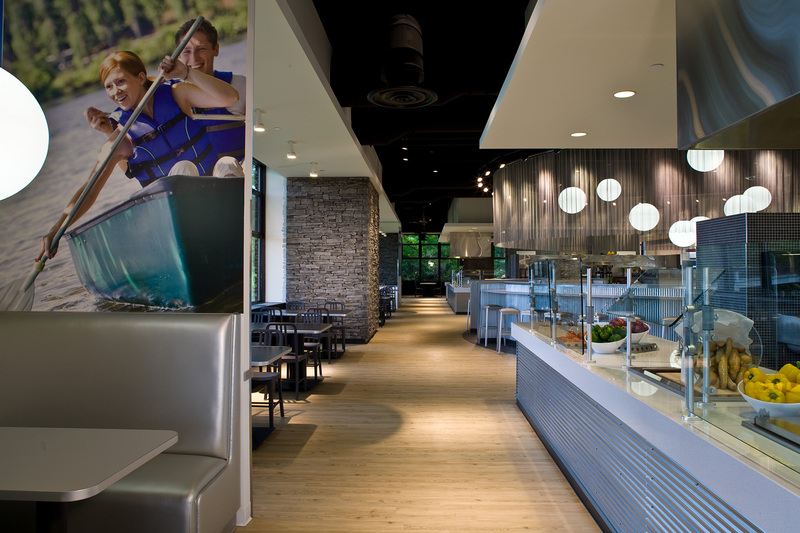 Focused on Aramark’s “Fresh Food Company” concept, our design emphasized fresh, natural, local food by situating three large stations—where food is prepared before a diner’s eyes—in the center of the dining areas. A purposeful use of color played a key role in reinforcing the architecture, and our design concept used high-contrast juxtapositions and the play of light and dark to convey a sense of freshness. To emphasize different dining zones within the 420-seat hall, we created multiple scales, from large to intimate. 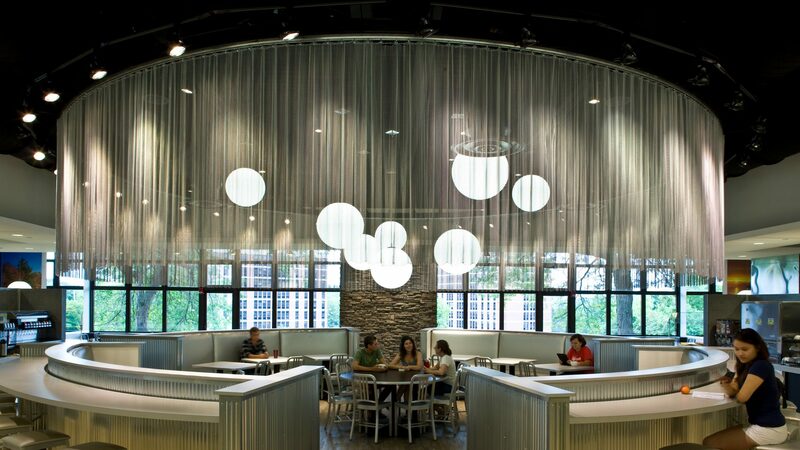 Seating options allow many scenarios, from dining with a large group of friends to studying alone over a meal.